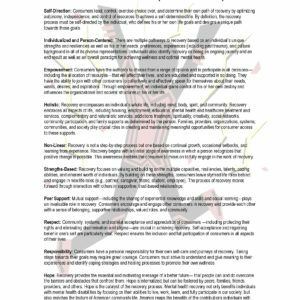 A dynamic interactive resource to empower your Peer Support team! Peer Specialists in rural areas and other places often work in isolation with no access to in-service trainings. The CARES Toolkit solves this problem by providing online access to dynamic training modules built around the five core competencies essential to every Peer Specialist. The CARES Toolkit can help your organization increase billable hours… Lower staff turnover rates… Reduce liability. And most important, increase client retention and success rates. 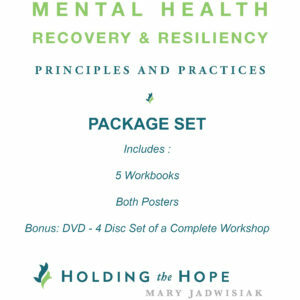 If you provide behavioral health services, Holding the Hope has workshops you need. We will help you increase staff competency and decrease burnout and turnover. Workforce development based on recovery principles and practices, is what we do. We’ve been doing it for 15 years and always from a strengths-based perspective. 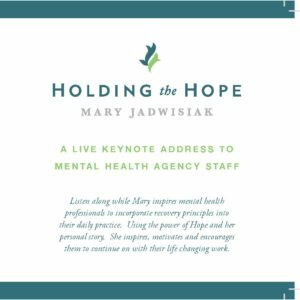 As the Spokesperson for Hope , Mary Jadwisiak, CEO Of Holding the Hope, is frequently sought out to speak at conferences, events, and corporate or community programs throughout the country. Do you want to inspire your conference attendees to keep working their magic for another year? Then hire Mary. She is inspiring, passionate and really funny. 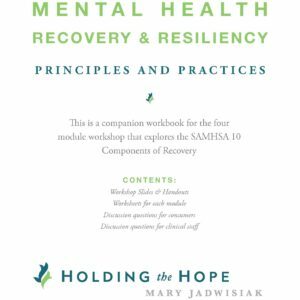 You didn’t work this hard creating a system or agency based on recovery principles to go anywhere else for help with program design. Holding the Hope consultants are experts in their areas of focus from many years of professional and personal experience. Improve clinical outcomes and decrease staff turnover. Implement peer support programs that avoid the pitfalls of heavy turnover and burnout. Create Systems of Care that work, with or without grant backing. Design suicide prevention campaigns for your community or company.